A FREE ebook short story set in the world of Arcane Kingdom Online! The hangover debuff was the worst. It was almost as bad as the amnesia debuff. Shade woke up this morning with both. Now he needs to escape the dangerous dungeon he’s found himself in, fighting through hordes of deranged cultists to do so. But will a beautiful red-haired bard and the promise of greater treasure be enough to distract him from safety? Of course it will. This is Shade we’re talking about. 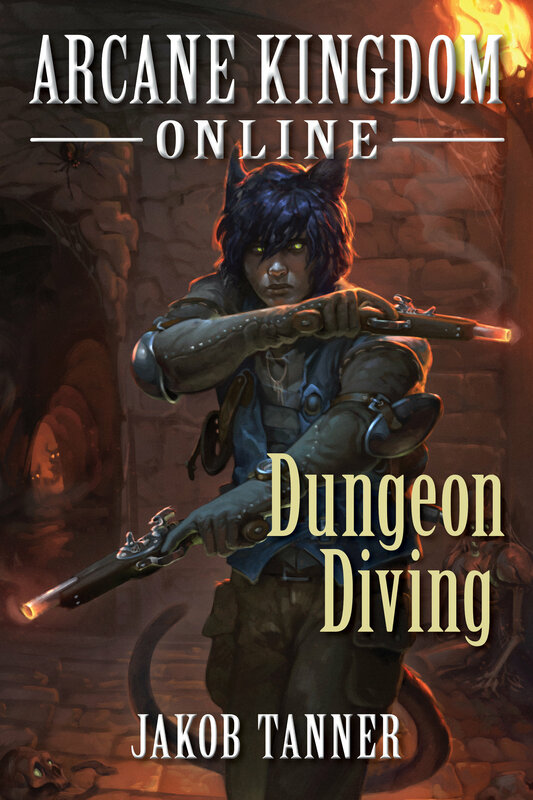 Dungeon Diving is the perfect entry point for those who have yet to read my work and a satisfying treat for those who have. You can change your mind at any time by clicking the unsubscribe link in the footer of any email you receive from us, or by contacting us at tannerjkob@gmail.com. We will treat your information with respect. For more information about our privacy practices please visit our website. By clicking below, you agree that we may process your information in accordance with these terms.